Located in the historic Brewery District, within two blocks of Downtown and German Village, Liberty Place is an urban oasis. 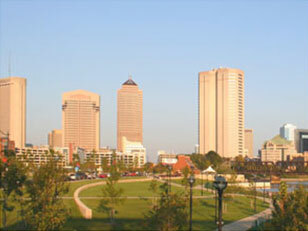 From Liberty Place you are minutes away from fine restaurants, shopping and entertainment. Enjoy City living in a hideaway where you can relax by the pool among trees and peaceful courtyards. The Liberty Place Apartments, with their prime location, history and attributes, are destined to be the premier Columbus neighborhood. Several locally owned restaurants are within walking distance such as Columbus Brewing Company (across the street), Thurman Cafe and Lindley. Eating Al Fresco in these fine restaurants is an enjoyable experience. 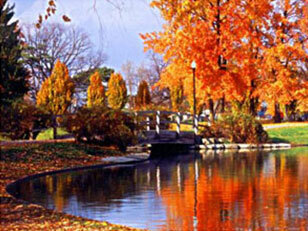 Two beautiful parks: the historic Schiller Park and 145 acre Scioto/Audubon Park provide great outdoor recreation. 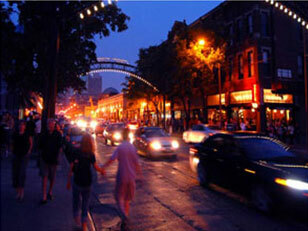 Downtown, just a couple blocks away, is an outdoor recreation paradise. You can enjoy running, biking, dog walking and picnics at one of many beautiful parks including the Scioto Mills/Bicentennial Park. There are many events from the monthly Gallery Hop, Broadway Theatre, the new Huntington Field, home of the Columbus Clippers baseball, and a number of festivals year round. A couple of minutes stroll from Liberty Place will take you to a new Kroger Signature Super Market with the conveniences of a Starbucks, Huntington Bank, and a pharmacy.